We’ve all been waiting for it. 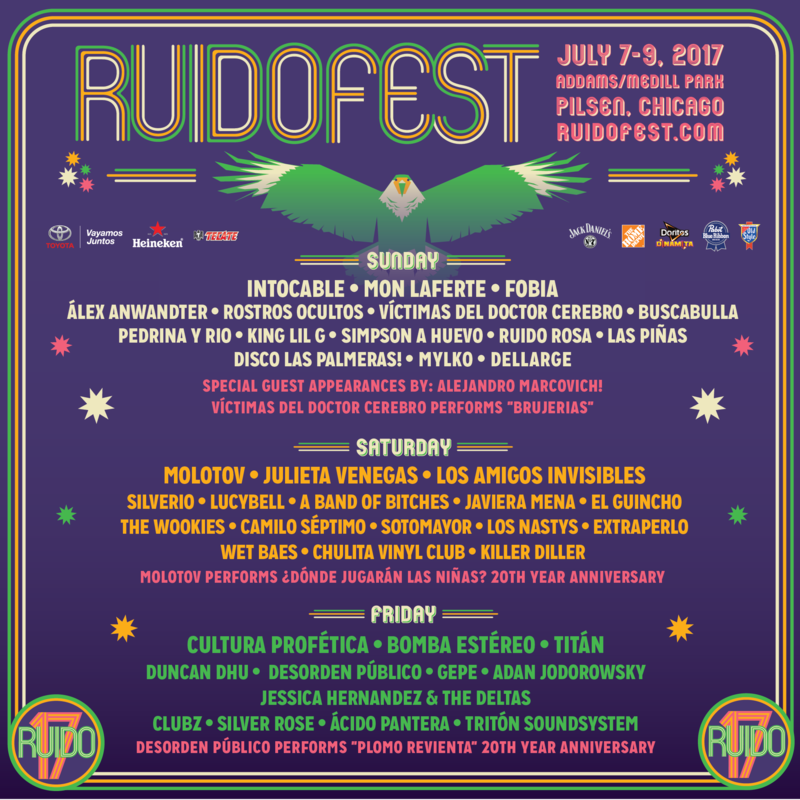 Here’s the Official Ruido Fest Single Day Lineup. New acts that have been added are DESORDEN PÚBLICO, SILVERIO, GEPE & VÍCTIMAS DEL DOCTOR CEREBRO. Single Day and 2-Day tickets will go on sale this Saturday 15th at 10AM!